Last week, Bailey asked "Dad, which of my uncles is in Afghanistan again?" I told him it was his Uncle Paul. Bay then stated that he wanted to send Uncle Paul a Valentine's Day card. What's more, Bay wanted to get all his classmates to send cards too. But that's not all - Bailey asked how we could get more people to send Valentine's Day cards to Uncle Paul and all his friends in Afghanistan. He wanted to promote it on our website, on Facebook, on Twitter. 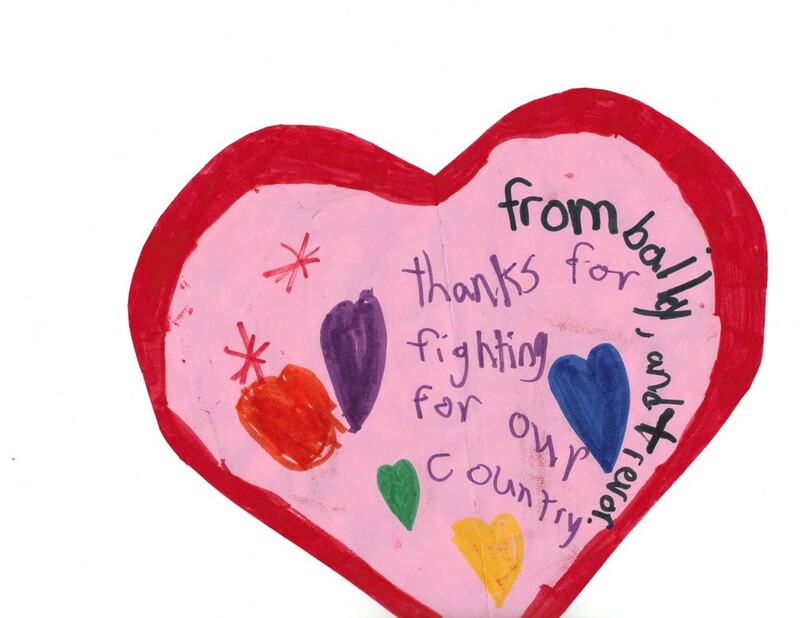 Bailey wants everyone to send Valentine's Day cards to his Uncle Paul and Paul's friend in Afghanistan. Uncle Paul would love it if your class made Valentine letters or cards for them. He is very homesick and all the girls and guys in his unit love to get mail!! Paul divides his time between Camp Dwyer and Camp Bastion. These are 2 bases in southern Afghanistan. He takes care of people who get sick or injured, including American service members and Afghani families. I am attaching 2 photos. One is of Uncle Paul in his Marine Uniform. The second photo is one that Uncle Paul just sent me yesterday. A lot of schools in Afghanistan have been closed for the past few years because of the war, but guess what? Last week, the Americans helped the Afghani people open a school that had been closed for over 4 years! And guess what else? It was the first time they allowed girls to go to school. Isn't that crazy? Girls should be able to go to school too don't you think?? Thanks so much Bailey. Uncle Paul will love it! 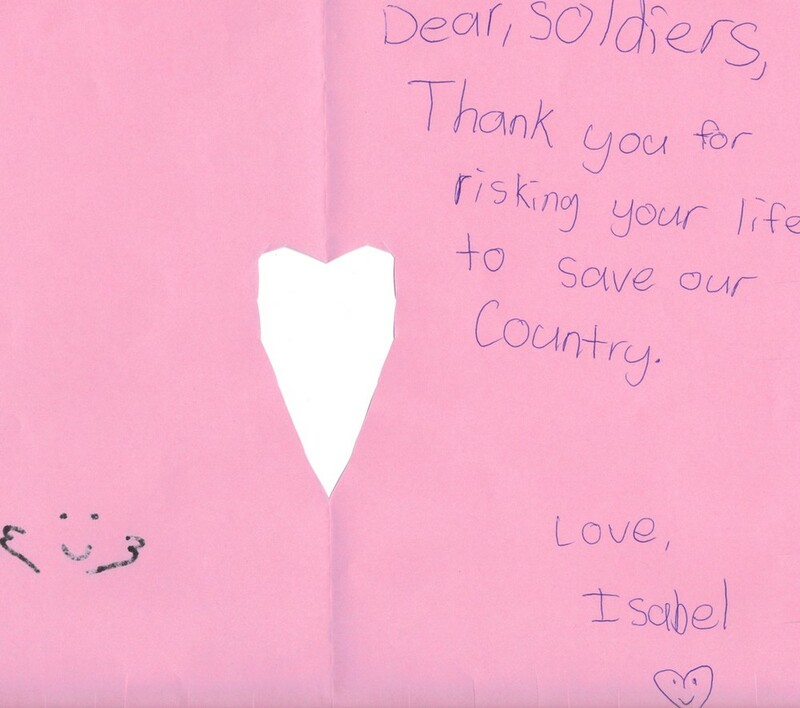 Receiving mail from home is a real morale-booster for the men and women serving overseas. It would be great if everyone who sees this can take a few minutes, make a Valentine for Paul or one of his campmates, and send it over. Hand-made cards from your kids are especially appreciated. So please, take a moment of your time, and help make the day for one or two of the people serving overseas. Here are a couple of the Valentine's Day cards that Bay and his classmates made. Here is the address again, grab a pen, write it down, grab your kids, make a Valentine, send it on over! The medical staff at Camp Dwyer and Canp Bastion will be grateful! Make their Valentines Day! Make yours! Send the Valentine today!